Students from North America generally choose to study in Norway because of English taught programs, the quality of education and the natural beauty. 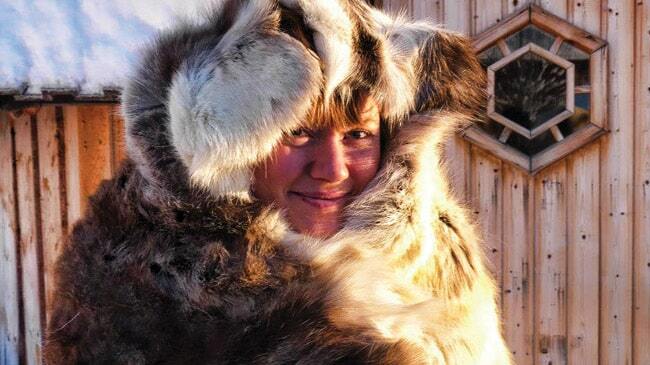 Tamara Russell (29) from Canada seized the opportunity to live in the Arctic for six months. 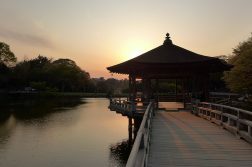 The Norwegian Centre for International Cooperation in Education (SIU) recently conducted a survey of over 2000 international students studying at Norwegian institutions to find out why they chose Norway for their studies, and how satisfied they were with their studies and their stay in this Scandinavian country. According to the survey, the main reasons for North Americans choosing Norway were English taught degree programs and courses, the quality of education, and the country’s natural beauty. Between 80 and 84 per cent of the respondents from Canada and the USA chose Norway as their first choice. One of these, Tamara Russell, spent a semester at the University of Nordland, in the very north of Norway. 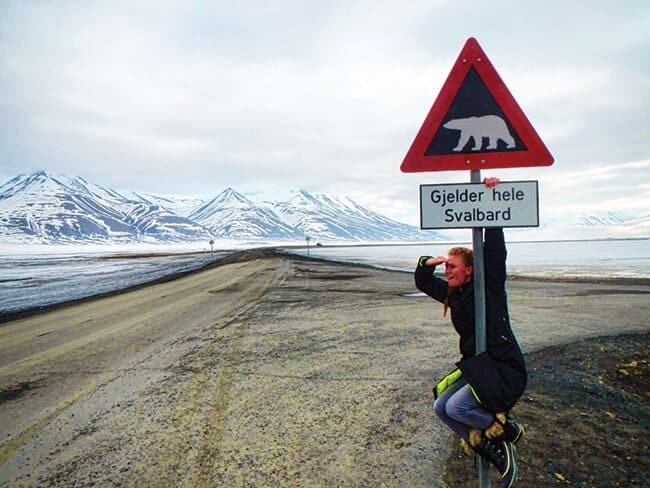 “UiN had offered me a scholarship to study Northern Wildlife and Ecology for a semester in Bodø, so I seized the opportunity to live in the Arctic for six months and study Marine Biology. I had heard many great things about Norway before deciding to study there – so, for sure, Norway was my first choice”, says Russell. The survey results showed that some of the most important factors for students from the US and Canada when they chose Norwegian institutions, were the programs and courses offered in their area of specialisation, exchange agreements between the institutions, and also the geographic location. “I chose UiN because it has a good relationship with my home university, Vancouver Island University (VIU). Both universities place a strong emphasis on Marine Science and Aquaculture, which are what my passions are”, says Russell. 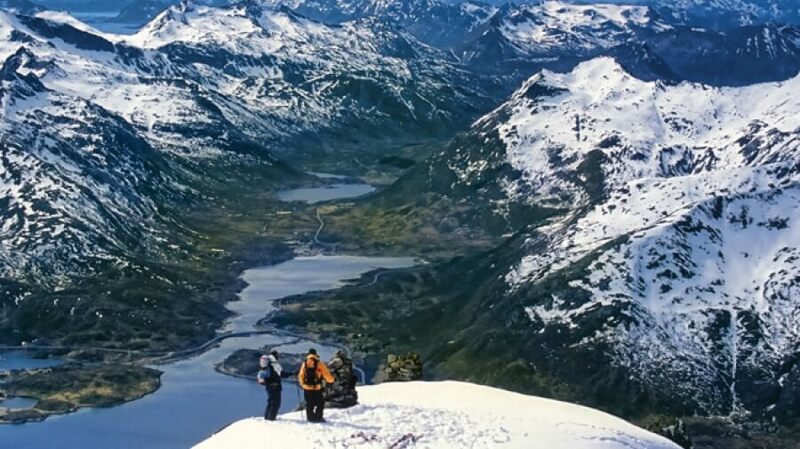 Another reason North American students choose Norway is the country’s natural beauty, and Russell was attracted by the rugged, arctic landscape. The quality of education is the third most important reason for students from the US and Canada to choose Norway as a study country. 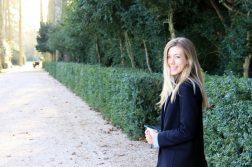 I asked Russell, “In your opinion, what is the most important academic outcome for you as an international student in Norway?” She responded: “You get to experience a completely different education system which is much more focused on independent study. In my opinion, not having deadlines forced on you all the time strengthens you as a Canadian student. It’s up to you to stay on top of things”. “A quirk, at least for me up in the Arctic, was that the Norwegian teachers were very relaxed. For example, they would often wear rainbow socks to lecture, or slippers, which I just loved. Another professor even invited me and a few classmates to go camping in her garden in Lofoten”, Russell adds. The fact that many degrees and other programs are taught in English is another important deciding factor for many international students, including Canadians. 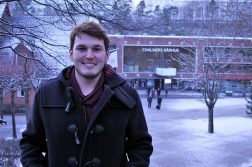 “The fact that all of my courses were going to be in English certainly influenced my decision to take the scholarship in Norway”, says Russell. In the survey, nine out of ten respondents from Canada were satisfied or very satisfied with their stay in Norway, which also reflects Russell’s experiences. “I really tried my hardest to arrive in Norway with no expectations. Having said that, my time in Norway was phenomenal, and I can’t wait to go back. Some things do take getting used to: the food, the shy Norwegian way, the school system … but once you figure it all out, you will have the experience of a lifetime”, says Russell. Six out of ten North American students in the survey were interested in finding a job in Norway on finishing their studies. Although Russell is now working as a laboratory technician in Canada while she is finishing her Bachelor’s, she would definitely love to come back and work in Norway in the future. Norway has eight accredited universities, nine accredited specialized university institutions, 22 accredited university colleges, two accredited national colleges of the arts and several private institutions of higher education with either institutional or program accreditation throughout Norway. More than 200 Master’s programs and an increasing number of Bachelor programs are taught in English. Internationalization is a priority within all sectors of the Norwegian education system, and universities and university colleges are constantly working to welcome more international students. Around 15,000 foreign nationals are currently enrolled at Norwegian institutions of higher education. International students may apply for admission to a variety of undergraduate and graduate degree programs. From vocational subjects to postgraduate and doctorate level programs, there are plenty of opportunities for students to fulfill their ambitions. You may come to Norway as a student through established exchange programs, institutional agreements or as a so called “free mover”.